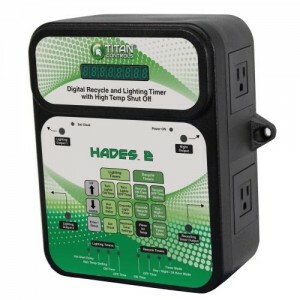 All in one digital lighting timer for use with trigger cord activated lighting systems! Set the preferred lighting schedule for a 24 hour period, then dial in the high temp limit and you're set to go! It even comes with a battery back-up in case of power failure and a 20 minute delay to avoid 'hot starts' that could damage your bulb. Plastic enclosure protects from rust, dust and moisture. 6 foot temperature probe is accurate to within 2°F. 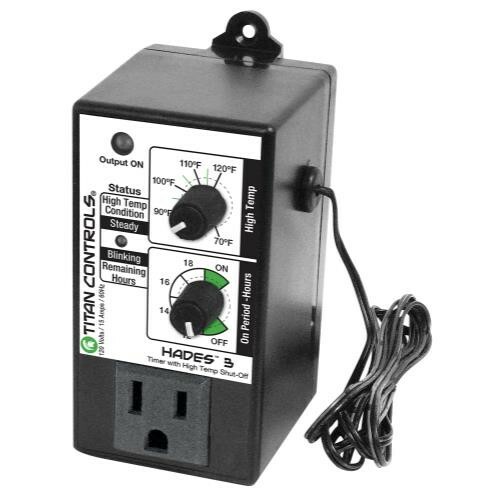 120 Volts/15 Amps/60 Hz. 15 Amps/120 Volts/ 60 Hz.